What does it mean? And who has it? Please see this free guidance from the Custody Minefield for further information. Parental responsibility (PR) was introduced by section 2 of the Children Act 1989. It replaced the concept of parental rights in section 4 of the Family Law Act 1987. There is no other statutory definition of what PR means. It is often said that this is a matter of ‘status’ rather than ‘power’. If you have parental responsibility, you are responsible for making decisions in your child’s best interests – but that doesn’t mean you can veto the decision of anyone else who has PR (unless you have a Special Guardianship Order); nor you can attempt to ‘micro manage’ the daily decisions made by another parent. The concept of parental responsibility describes an adult’s responsibility to secure the welfare of their child which is to be exercised for the benefit of the child not the adult. The all encompassing nature of the responsibility underpins one of the principles of the Act which is the ‘no order’ principle in section 1(5) CA 1985: the expectation that all other things being equal parents will exercise their responsibility so as to contribute to the welfare of their child without the need for a court order defining or restricting that exercise. That the status relates to welfare not the mere existence of paternity or parenthood is clear from the decision in Smallwood v UK. Whether or not a parent has parental responsibility is not simply a matter that achieves the ticking of a box on a form. It is a significant matter of status as between parent and child and, just as important, as between each of the parents. By stressing the ‘responsibility’ which is so clearly given prominence in the Children Act 1989, section 3 and the likely circumstance that that responsibility is shared with the other parent, it is hoped that some parents may be encouraged more readily to engage with the difficulties that undoubtedly arise when contemplating post separation contact than may hitherto been the case. Generally, if you are a parent with PR you should expect to be consulted by the other parent about major matters such as education and health issues. If different people who hold PR can’t agree, they will have to go to court to ask the Judge to decide what to do. The following are examples of situations where you need to inform and consult the other parent before making a decision. Day to day decisions about what time the child gets up, what he has for breakfast etc are not usually issues that you have to consult with the other parent about. education – decisions about applying or attending school, which parent will attend what school functions and when. any decision to stop treating a child with prescribed medication. You can only take your child out of England and Wales without the consent of anyone else who has PR for 28 days IF you have a child arrangements order (previously called a residence order). If you don’t have such an order or you are out of the country for longer, and you don’t have the consent of the other parent with PR, you could be committing the offence of child abduction. Many countries will now require that you travel with a letter from the other parent, confirming that they consent to their child travelling. See this article for further discussion. Many parents are not aware of this and mistakenly think they do not need the other parent’s permission. If the other parent won’t consent, you will have to apply to court for a Specific Issue Order. If you have a Special Guardianship Order (SGO) you can take the child out of the jurisdiction for up to 3 months without consent. by a court order. An unmarried father can only lose parental responsibility by an order of the court to that effect. Section 111 of the Adoption and Children Act 2002 [ACA 2002] amended the Children Act 1989 to give PR automatically to unmarried fathers who are on the child’s birth certificate after 1 December 2003. See section 4(1). 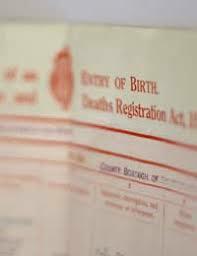 Since 1 December 2013 and by section 4(1) CA 1989 as inserted by section 111 Adoption and Children Act 2002, an unmarried father acquires parental responsibility by the inclusion of his name on the child’s birth certificate. That legislative change accompanied society’s recognition of and expectations for the exercise of parental responsibility by parents who are not married or in a civil partnership and who have separated with the consequence that the child does not live with one or other of them. It has become more common for parental responsibility to be considered by a court before other substantive welfare decisions are made because it is an important status which is an incident of the family and private lives of the adults and child concerned and which is reflected in the way in which parents should exercise their responsibilities for their child. It should be rare for a father not to be afforded this status. What do the courts consider if a father is arguing for parental responsibility? In Re D  EWCA 315 the Court of Appeal considered the case law. Parental responsibility is an issue concerned with the upbringing of a child and therefore under section 1(1)(b) CA 1989 the child’s welfare will be the court’s paramount consideration. The court doesn’t have to consider the section 1(3) (the ‘welfare checklist’) but it’s probably a good idea and the court may find it helpful to use an analytical framework not least because welfare has to be considered and reasoned. The paramountcy test is overarching and no one factor that the court might consider in a welfare analysis has any hypothetical priority. The factors that are often considered are the degree of commitment which the father has shown to the child, the degree of attachment which exists between the father and the child and the reasons of the father for applying for the order. Neither mothers nor married fathers can have their parental responsibility removed, unless an adoption order is made. This distinction has been found compatible with Article 8 of the ECHR. (See Smallwood v UK (29779/96) (1999) 27 EHRR CD 155). Unmarried fathers can have their PR removed if the court finds this is in the best interests of the child but this is a very unusual step. For a case where PR was removed from an unmarried father who had pleaded guilty to sexual offences against the mother’s other children and caused huge emotional devastation to the family,see Re D  EWCA 315 discussed above. For further information about the impact of care and supervision orders, see this post. The holder of the SGO has ‘enhanced’ PR and can override the wishes of others with PR. See 14(C) of the Children Act. For more information on SGOs, see this post. This will sever all legal ties between the child and the birth family and the parents will no longer have PR. Children: Parental Responsibility – how is it gained and lost? (England and Wales) – 2017 House of Commons briefing, it considers the meaning of parental responsibility, and the fact that it is not a constant right, but diminishes as the child gets older and so can reach a sufficient understanding and intelligence of the consequences of decisions relating to them. How parental responsibility can be acquired and lost can depend on the person concerned and certain court orders. There can be restrictions on how parental responsibility is exercised, including the gaining of court orders in order to settle or prohibit a particular action by someone with parental responsibility. This entry was posted in Parental Responsibility and tagged child abduction, parental responsibility, PR on September 24, 2015 by Sarah Phillimore. I obtained Parental Responsibility through both parents consenting. What I didn’t realise (nor EXACTLY understand at the time) was it was it was ‘attached’ to a Child Arrangement Order. The initiating of proceedings and subsequent granting of a Care Order, or even an Interim Care Order, under Section 12 of CA1989 discharges that PR. Not if you are a biological father?